Welcome to Alabama's Career Exploration Guide produced by the Alabama Department of Labor, Labor Market Information Division. This guide is designed for anyone thinking about a career direction and provides information on over 600 occupations. Topics include working conditions, education requirements, licensing information, and a job outlook for the occupation in the State of Alabama. In addition to these topics, there is a notation for occupations that fall within the President's High Growth Job Training Initiative. This information gives readers an idea of how many people are employed in an occupation; what employment should look like in the next decade; where to get training for each occupation; how many openings are estimated in Alabama each year; and the entry, mean, and experienced wages for a particular occupation. Choosing or changing careers requires a lot of planning and thought. This online publication should provide people with a great place to start. Printable version of select occupations available here. Click on image to take you to O*Net's webpage. It includes information on skills, abilities, work activities, in-demand industries, etc. for over 950 occupations. OOH ( Occupational Outlook Handbook ). Produced by The United States Department of Labor that consists of very detailed information on education, working conditions, job outlook and licensing. Click on image to take you to OOH homepage. LOG ( Licensed Occupation Guide ). Produced by the Department of Labor, Labor Market Information division. It contains information regarding occupational descriptions, minimum qualifications, application procedures, fees, and agency contact information. Click on the image to take you to the LOG pdf. Occupational Videos. Over 500 captioned videos provide information about job duties, work conditions, and typical training and education. Windows Media Player is required for viewing. A link is provided for the free media player. Industry/Occupation Projections. The Alabama Labor Market Information Division produces projected employment by occupation and industry for the State and Workforce Development Regions. National Projections are available from the Bureau of Labor Statistics' Office of Occupational Statistics and Employment Projections. The Wage Survey is a list of data that shows mean wage, entry wage, and experienced wage for each occupation. The Hot 40 are jobs expected to be in highest demand based on projected growth, average annual openings, and average annual salary. The poster includes a short description of the occupation, training/education, and skills requirements. High-Growth Job Training Initiative. Dedicated to helping job seekers identify job opportunites in important sectors of the economy and in high-demand, high-growth sectors. Official webpage of the Alabama Community College System (ACCS). It provides information about academics, adult education, and workforce development. Click on the image to take you to the ACCS's webpage. Alabama Career Tech website is devoted to students who are college and career ready. It provides information on over 215 courses offered statewide, financial aid information, and information on how to start a college technical major in high school. The official webpage of Labor Market Information. 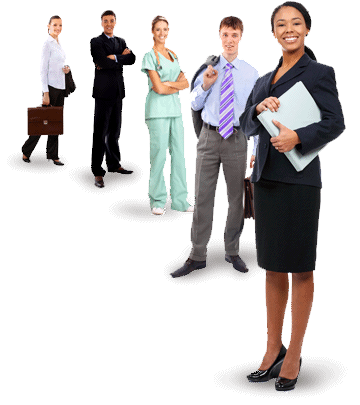 It provides a plethora of information to employers, job seekers, displaced workers, career planners, etc.